Clearly mark your storage rooms and closets with this ADA compliant braille sign. Made in the USA, multiple color combinations available. 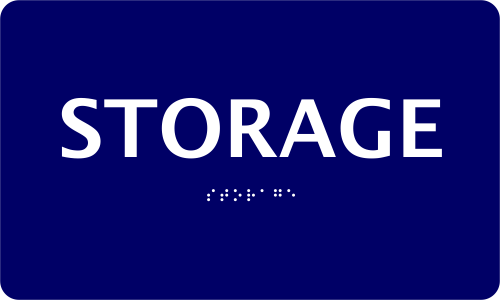 Order your ADA braille storage room sign today and clearly mark all storage closets and rooms.